This time next week it'll be 2018... we're dropping in on next year with a whole lotta good times lined up!! 2017's been a pretty big one for us up here at Cardrona. We got a brand new Chondola at the start of winter, which has been a massive hit with all our mountain biking, mountain carting, hiking & sightseeing guests this summer as well. Our new café, The Lounge, was born, as well as the Vista Bar making its debut at the top of McDougall's. Both these outlets are open at the moment as Mezz & Base get their makeovers this summer in time for next winter. It's been all go this year & we can't wait to see what 2018 will bring! The view from the summit has been epic this week! All our weather forecasting friends are painting a similar picture for the start of 2018 – New Years Day is looking like the day to be up here! There could be a bit of rain towards the middle of the week next week, which will keep the trails in mint condition. Our trail builders have been hard at work giving all our existing trails a tickle up... they're all looking in pretty sweet condition! They've also recently rebuilt the Dirtstar Downhill (which is also our Nationals DH course), & the High Vis jump line. For all our families & riders looking to build their confidence, our new green trail "Sweet As" has been incredibly popular. If you're bringing up small children make sure you bring up their balance bikes so they can have a play in our kids' zone at Base! 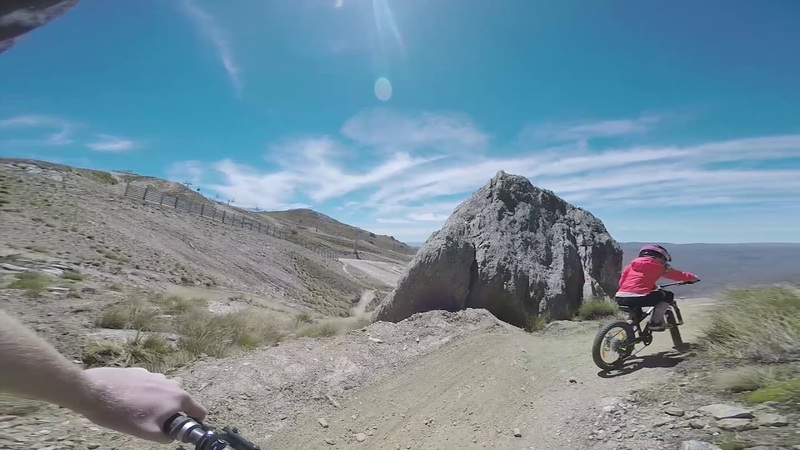 Check out the GoPro trail preview for Sweet As! If you're around for New Years Eve, we've got a great dinner deal for you – sit down for a 5-course meal at the Noodle Bar for just $99! Chef Rob's Asian-inspired fine dining menu is sooooooo delicious, & we can't wait to tuck in to ring in the New Year. Call 0800 440 800 to book your table. The 4th annual Mega Avalanche is coming up quick on January 14! Race for glory or prizes all the way to the Cardrona Valley... If you want to get some practice in make sure you jump on one of our daily Peak to Pub rides at 4pm. Finish off with a cool brew at the Cardrona Hotel – there's not much better on a hot summer's day! Lastly, we want to say a big thank you to all our people for a huge 2017. Thank you for visiting us, working with us, & sharing our maunga with us this year. We hope you all have a fun & safe New Years break, & we'll see you up here soon!